Micheels Hall was a home for student hackers last week. 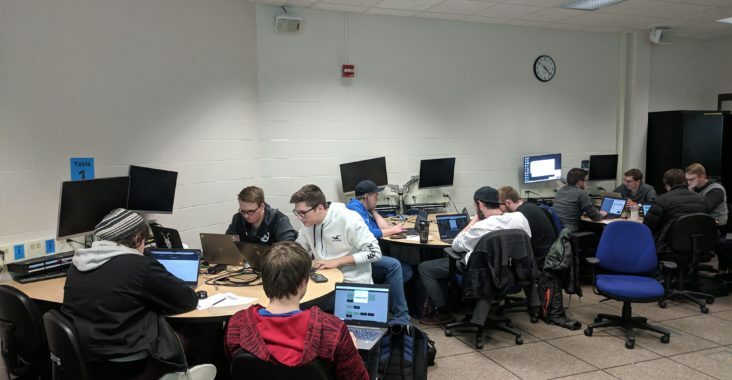 Picking locks, hacking servers and social engineering their way into private groups, University of Wisconsin—Stout students put their technical security skills to the test at the Hack @ Stout competition. This is the second iteration of the event since 2017. It is hosted by the Information Security Professionals (ISP), the Association of Information Technology Professionals (AITP) and Women in Information Technology & Security (WITS). ISP president Reid Sedlak described the event as a competitive and legal environment for teams of up to five students to learn and test information security concepts. According to capture the flag captain Alex Anton, security professionals can’t protect against threats if they don’t have experience with them first hand, so the event virtually simulates real security breach scenarios. The competition is split into a series of capture the flag style challenges for students to complete in varying levels of difficulty, but the challenges are not limited to technical computer skills. Students must also attempt physical lock-picking as well as social engineering their way into a closed online professional group. “You can lock down the cyber aspect of your servers as well as possible, but if they can steal your computer, it doesn’t make a difference,” Sedlak said. Four teams competed in this year’s Hack @ Stout. 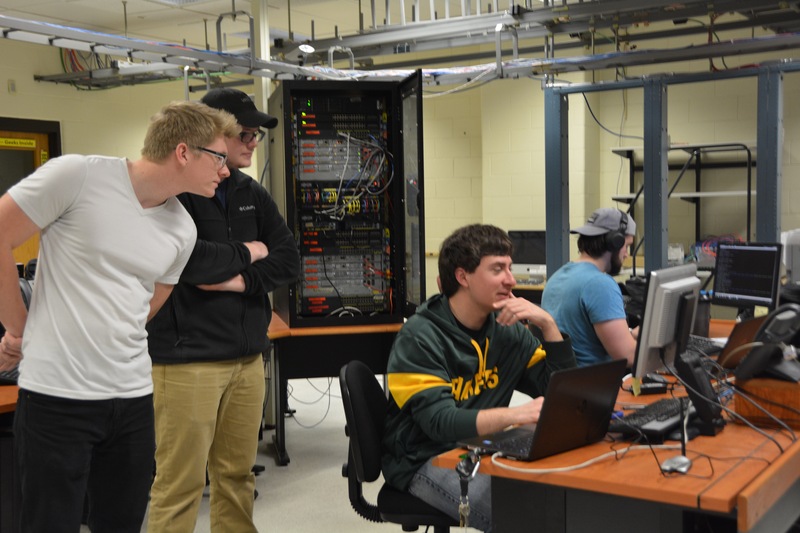 Of those four teams, Wade Pulls, a group of computer networking and information technology students consisting of senior Kyle Lunde, senior Derek Muck, senior Wade Wagner and Junior Karl Carey. “We just kind of came here for something to do. We thought it might be up our alley, but a lot of us don’t have a lot of experience with this so it was a really good learning opportunity,” Lunde said. 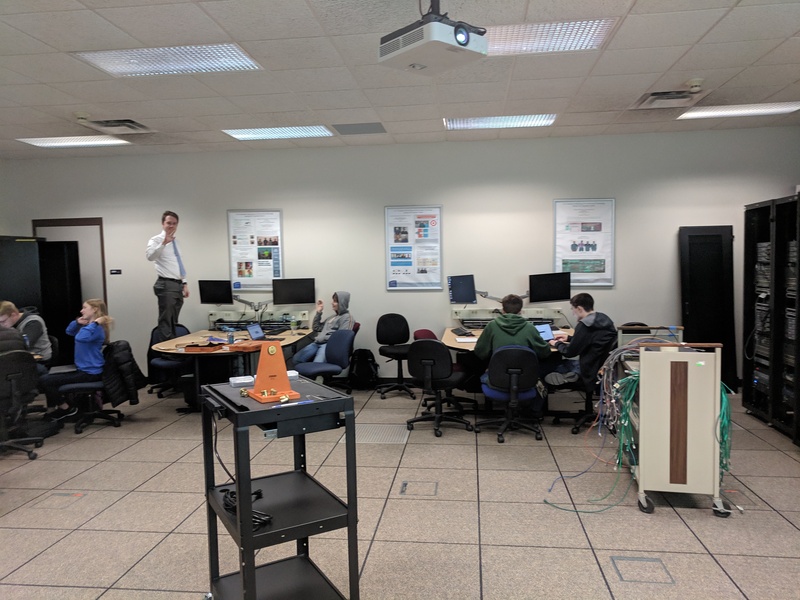 Competitors agreed that utilizing information security concepts outside of a lab environment without the guidance of a professor offered a positive hands-on experience. The event also fulfills requirements for the National Center of Academic Excellence in Cyber Defense accreditation from the Department of Homeland Security and the National Security Agency, which UW—Stout earned for the academic years 2017-2022.